Please note that all of the shows listed below are now closed. Take a look at our current shows to see what’s on now. 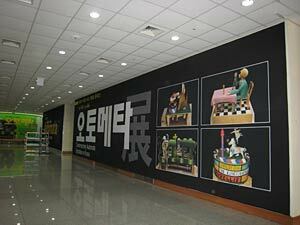 Previous exhibitions: from 2008. Mechanics Alive!! was officially opened by Her Royal Highness Princess Siriwanwaree Nareeratana of Thailand. The exhibition is proving to be a real crowd pleaser. 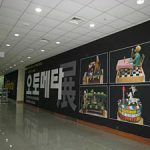 This first ever Korean tour has been organised by our colleague Min Kyoung Cho, at UTOSPACE. Cho has been a tremendous fan of CMT since she first saw our exhibition at the Oxo Gallery in London 3 years ago. 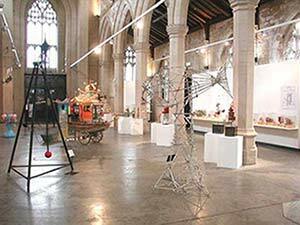 Come and see this fantastic new exhibition with over 80 pieces of automata from the past 28 years of CMT, featuring the work of 19 artists, including Paul Spooner, Arthur Ganson, Ron Fuller, Peter Markey, Tim Hunkin and Carlos Zapata. 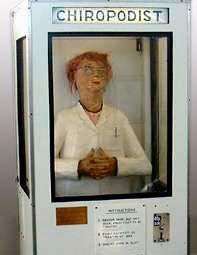 Tim Hunkin’s Chiropodist will be on hand to treat your tired feet, and we also have the last remaining scene from the Ride of Life. The exhibition is part of iFutures a celebration of new technologies in Singapore. 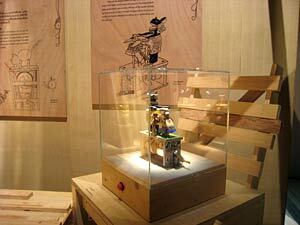 CMT’s automata are used to introduce a pre-digital and artistic element to the exhibition. 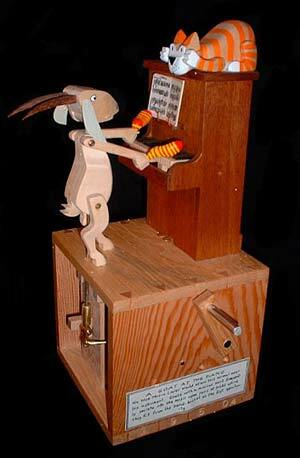 There are a series of workshops planned using our Designing Automata Kit. 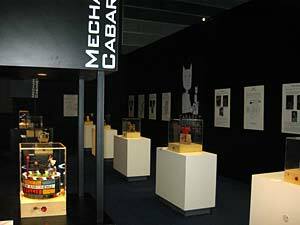 Until 23rd September 2006 our Touring Exhibition Mechanics Alive!! 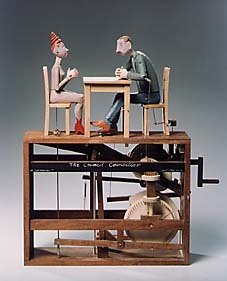 is part of a new automata exhibition at the 20-21 Visual Arts Centre. Also featuring the work of Johnny White, Martin Smith, Carlos Zapata, Andy Hazel, Tom Wilkinson, Ian Mckay, John Lumbus and Robert Race. Join us for our annual exhibition and programme of workshops. We have a fantastic exhibition of over 60 pieces of automata, many original works and some new pieces from Paul Spooner, Keith Newstead, Peter Markey, Ron Fuller, Carlos Zapata, Martin Smith, Matt Smith and Tim Hunkin. Come and press the buttons and turn the handles to bring the pieces to life, start to understand the ingenious mechanisms that make them work, and then have a go at making your own. You can see thirty original works by Paul Spooner, Keith Newstead, Ron Fuller, Peter Markey and Michael Howard. Our USA touring exhibit Amazing Amusing Machines, (last seen at Exploratorium, San Francisco, summer 2004) is scheduled to delight the crowds at the Science Museum of Minnesota from 19th Oct. 2005 until Jan 2006. Start to understand the mechanics behind the pieces, as CMT’s Barecats guide you through this fascinating exhibition with their simple explanations and amusing insights. You will want to try making your own – help is at hand! 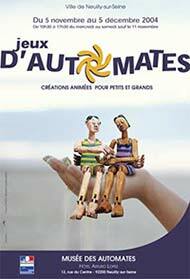 November 3 & 5 Create Your Own Automata! 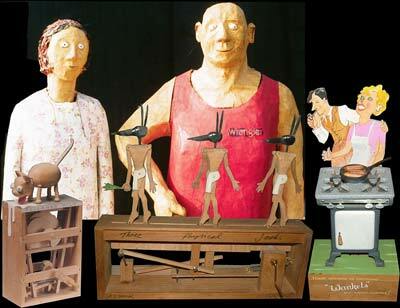 Join Sue Jackson and Sarah Alexander, automata artists and curators of Cabaret Mechanical Theater, for a workshop exploring the world and construction of Automata (mechanical puppets). 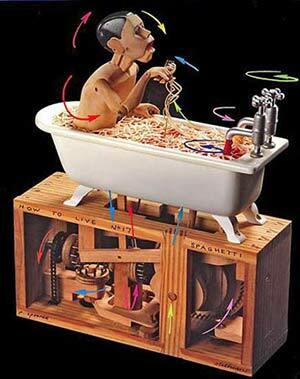 Thursday, November 3; 7-9 p.m.
Saturday, November 5; 1-3 p.m.
UK Touring Exhibition – Mechanics Alive!! Our Touring Exhibition Mechanics Alive!! can be seen at Bedales Gallery from 28th September. Come and have fun, and understand the mechanics of some of your favourite pieces. Artists include Paul Spooner, Peter Markey, Ron Fuller, Keith Newstead and Carlos Zapata – with many pieces from the original collection. We are delighted to show six of our favourite pieces of Paul Spooner’s automata, including Manet’s Olympia, as part of Save the Robots a major exhibition and festival at The Ark, Dublin’s Cultural Centre for Children. The exhibition celebrates the astonishing world of artificial humans and mechanical beasts. We celebrated the return of our original collection to the UK, inicluding Paul Spooner’s Manet’s Olympia and The Flight into Egypt, Keith Newstead’s Junkas Giles Agriplane, Peter Markey’s early wave machines, and Ron Fuller’s Circus. Keith Newstead, Peter Markey, Carlos Zapata, Matt Smith, Paul Spooner, Nikki Taylor and Martin Smith, as well as French artist Andre Demoulin. This was a rare chance to see a gathering of Spooner’s work. The last solo exhibition was ‘Scenes from Everyday Life’ in 1993, (Cabaret Mechanical Theatre, Covent Garden). Talk: Paul Spooner gave a talk and guided tour of the exhibition at 3 pm on Thursday 23rd September. Article: An article on Paul Spooner and the new show was in The Observer (Sun. 5th Sep.). You can read it without the pictures here. 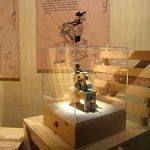 We were delighted to take part in this summer’s ‘Tinkering!’ event at the Exploratorium in San Franscisco with an exhibition of 25 pieces of automata. The exhibition included Keith Newstead’s ‘All Weather Cycle’ and his wonderful Eclipse machine, as well as many 14 Balls favourites like the Goat in the Bath and the Council Counsellor (above). Read about and see some pictures of Keith Newstead’s visit to the Exploratorium in the San Francisco Chronicle. The Festival ran from December 17th 2003 to January 11th 2004 at the.gallery@oxo (Oxo Tower Wharf, London) and was a great success. We were delighted to welcome over 25,000 visitors at our Touring Exhibition, Automata! this summer. 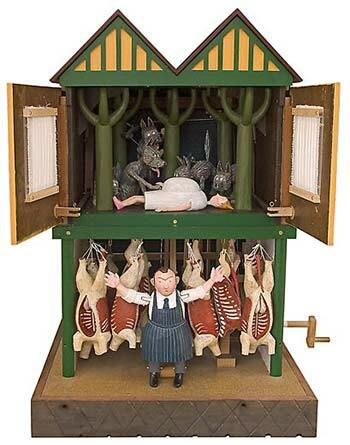 With over 50 pieces of automata from Paul Spooner and Matt Smith (Fourteen Ball Toy Co), Keith Newstead, Carlos Zapata, Peter Markey and Martin Smith, Automata! is the most popular exhibition that the Royal Pump Rooms have ever had. 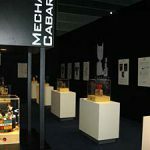 Celebrating 20 years of contemporary automata from Cabaret Mechanical Theatre. Thanks to everyone who supported us by visiting our this show – it was a great success. Please note that all of the shows listed above are now closed. Take a look at our current shows to see what’s on now.